VI.17.9 Pompeii. Blocked entrance. Linked to VI.17.10 and VI.17.11. First excavated 1763-4. Affected by bombing in 1943. “VI.17.9. 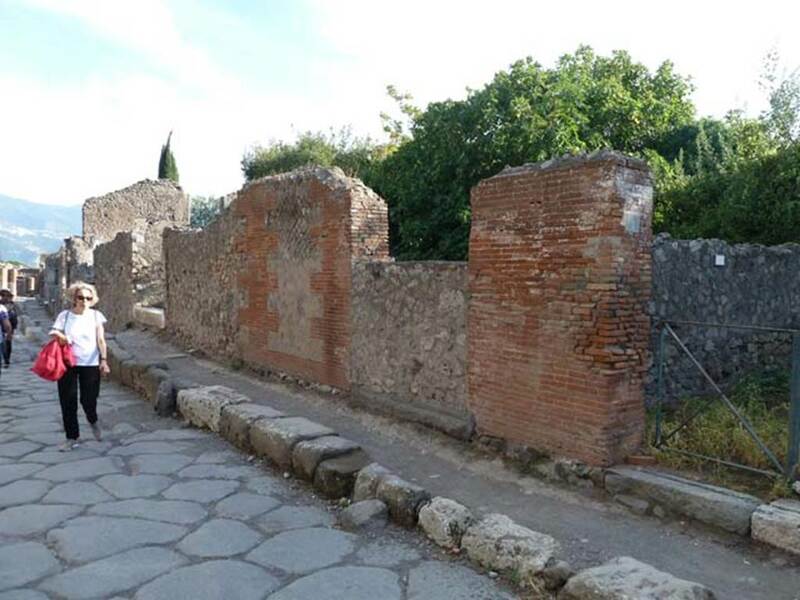 Viene quindi la porta di una casetta, avente lungo protiro, ed in fine di esso la cella dell’ostiario. L’atrio tetrastilo, che qui rinchiudeva un piccolo viridario, era circuito da un cubicolo, da un’ala, dalla fauce portante alle stanze superiori, dalla cucina, e dal tablino collocato fra il triclinio ed un oecus. See Fiorelli, G. (1875). Descrizione, (p. 432). See Pappalardo, U., 2001. La Descrizione di Pompei per Giuseppe Fiorelli (1875). Napoli: Massa Editore. (p. 159). 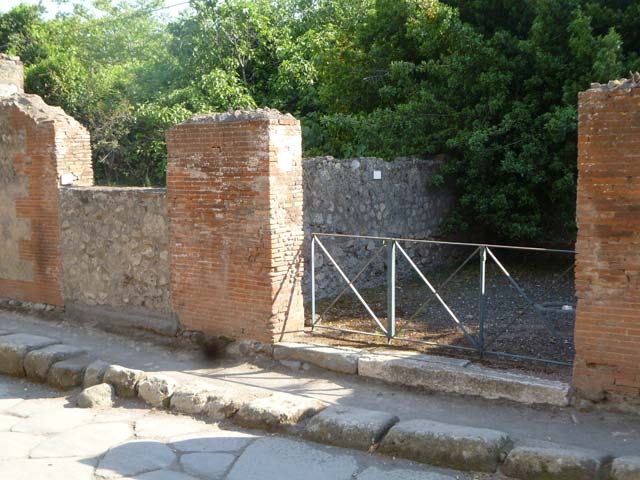 VI.17.10, on left, and VI.17.9, in centre, and VI.17.8, on right, Pompeii. September 2015. Looking south along Via Consolare. VI.17.9 Pompeii. September 2005. Entrance doorway. 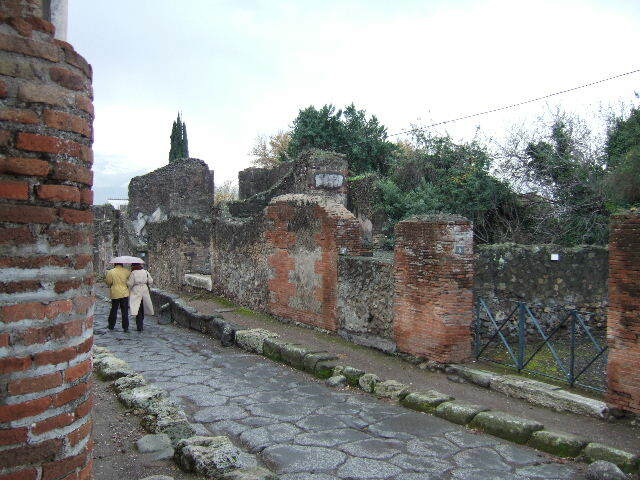 VI.17.10, on left, and VI.17.9, on right, Pompeii. May 2011. Looking south along wall between entrance doorways. Photo courtesy of Michael Binns. 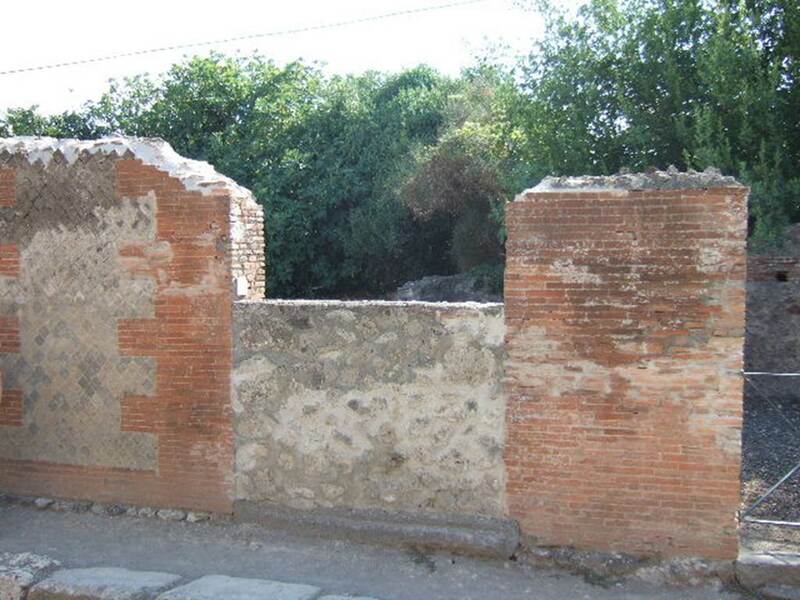 VI.17.9, on left, and VI.17.8, on right, Pompeii. May 2011. Looking south-west towards the entrance doorways. Photo courtesy of Michael Binns. VI.17.10 with thick white step, VI.17.9 blocked and VI.17.8 with metal gate. December 2005. VI.17.9 Pompeii. September 2015. Looking west from entrance doorway. 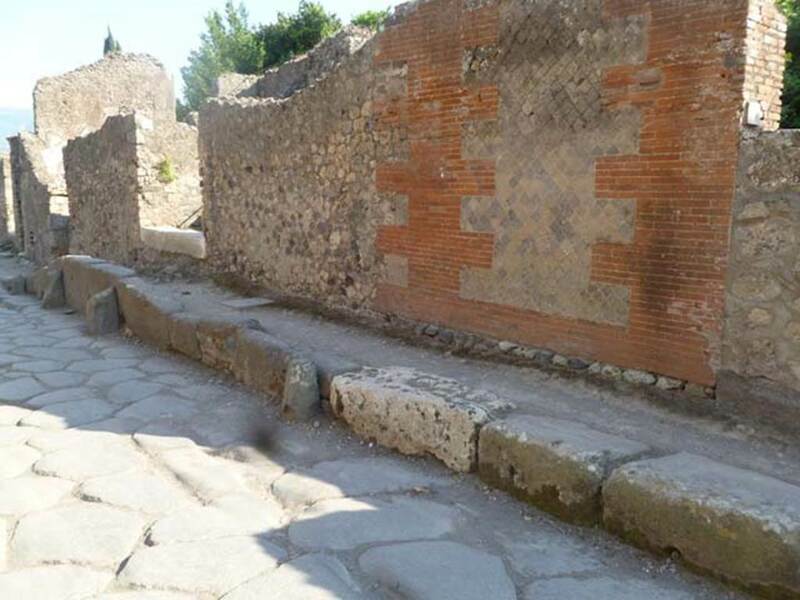 Looking west across remains of three rooms on north side of atrium of VI.17.10 and towards a corridor to ruined rear rooms (blocked). According to Garcia y Garcia, due to the 1943 bombing, a part of the floor of the atrium and three dividing walls of the rooms on the north side of the atrium of VI.17.10 were destroyed. 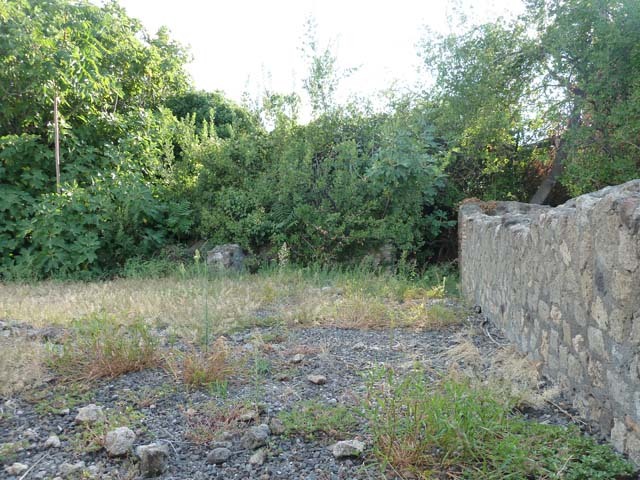 She said that Zahn stated that this house was in a ruined state at the time of its excavation (1775-80). 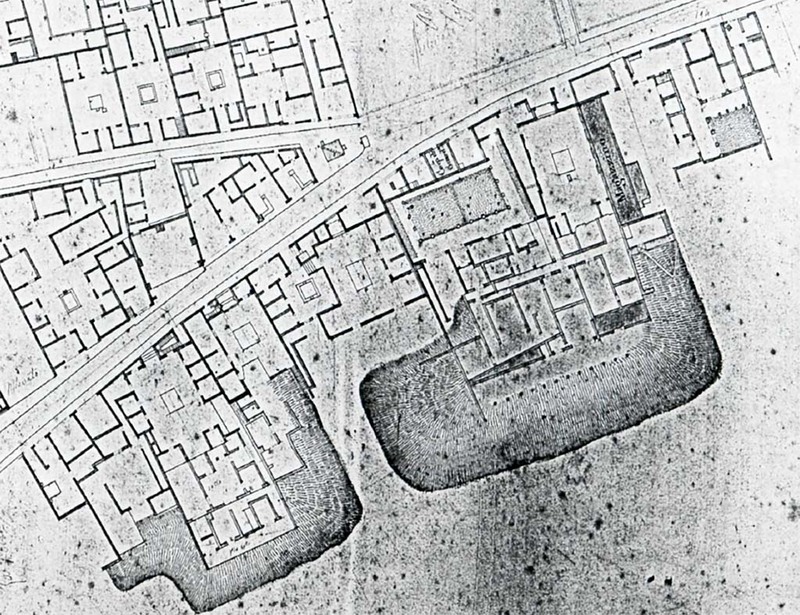 VI.17.9 Pompeii. December 2005. 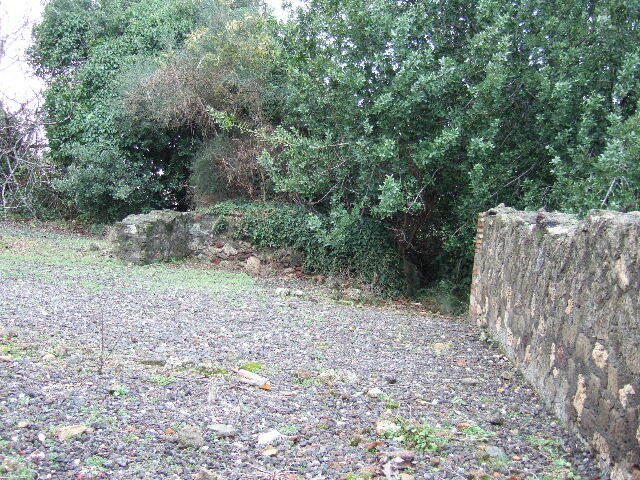 Looking south into atrium of VI.17.10, across site of three ruined rooms.